I LOVE this. Read it out loud with your name inserted. Believe and walk in it now. 1. God is always working around (your name). 2. God pursues a continuing love relationship with (your name) that is real and personal. 3. God invites (your name) to become involved with Him in His work. 4. God speaks to (your name) through the Bible, prayer, circumstances and the Church to reveal Himself, His purpose and His ways to (your name). 5. God’s invitation for (your name) to work with Him always leads to a crisis of belief that requires faith and action. 6. (your name) must make major adjustments in her life to join God in what he is doing. 7. 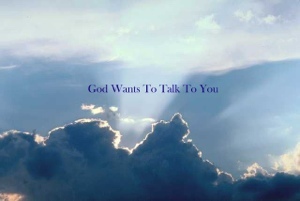 (your name) will come to know God by experience as she obey’s Him, and He accomplishes His work through (your name).